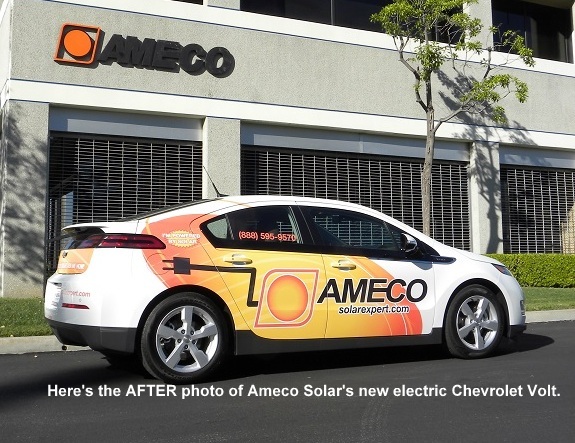 Our Chevy Volt Runs on Solar. Each evening, we plug in the electric car so that it can refuel with clean, renewable energy that has been produced from our solar photovoltaic (PV) panels.. Wallpaper and background images in the Keep Earth Green club tagged: environment green solar electric car image solar panel pv solar expert. This Keep Earth Green photo might contain hatchback کے, hatchback کے دروازے, hatchback, hatchback door, دروازوں والی بيک, and دروازوں والی بيک دروازہ.